Unique to other OEM modules as already has housing and is decoded with an output via standard interfaces, HID, Virtual comms and RS232. Ability to bolt onto the outside or inside of a device. Newland FM100 Series, 2D CMOS fixed mounted reader - with 2 mtr RS232 extension cable and multi plug adapter. Newland FM100 Series, 2D CMOS fixed mounted reader - with 2 mtr USB extension cable. 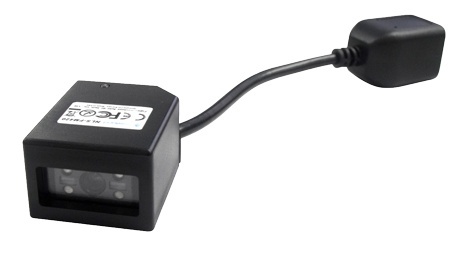 Newland FM100 Series, 2D CMOS fixed mounted reader - with 50 cm direct USB cable. Newland FM100 Series, 2D CMOS fixed mounted reader - with 50 cm direct USB cable and 90 degree USB connector. Newland FM100 Series, 2D CMOS fixed mounted reader - with 50 cm direct USB cable and manual scan trigger. Newland FM100 Series, 2D CMOS fixed mounted reader - with 50 cm direct USB cable, manual scan trigger, 90 degree USB connector.